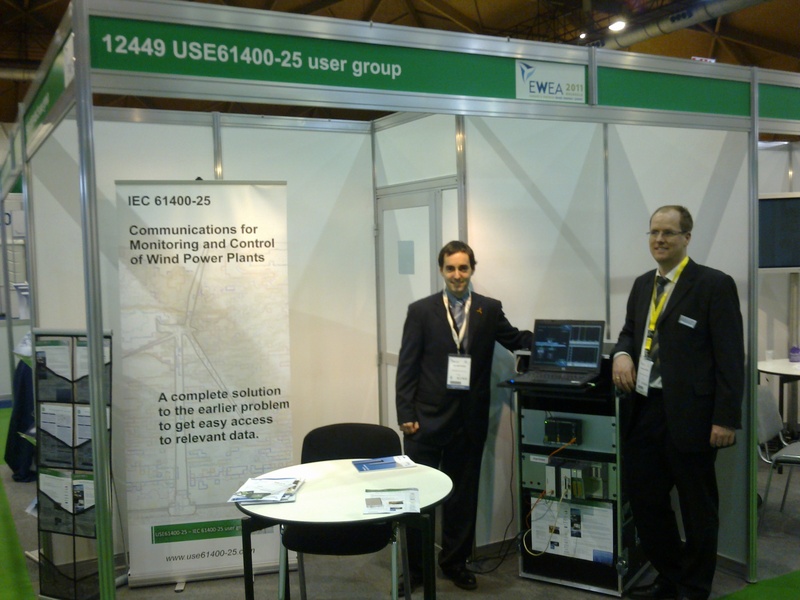 9000+ praticipants had the chance to learn more about IEC 61400-25 at the EWEA2011 conference in Brussels, Belgium. Not everyone passed through the USE61400-25 exhibition booth but a fair amount of people did. Contacts were made with people from more than 40 companies, from both supplier and customer side in the global wind power business. The interoperability demos were based on the experience obtained during the User Group Interoperability workshops the last two years. Erik San Telmo Quecedo, Chairman of USE61400-25 assisted by Thorsten Eckerodt from Bachmann Electronics GmbH a USE61400-25 member.